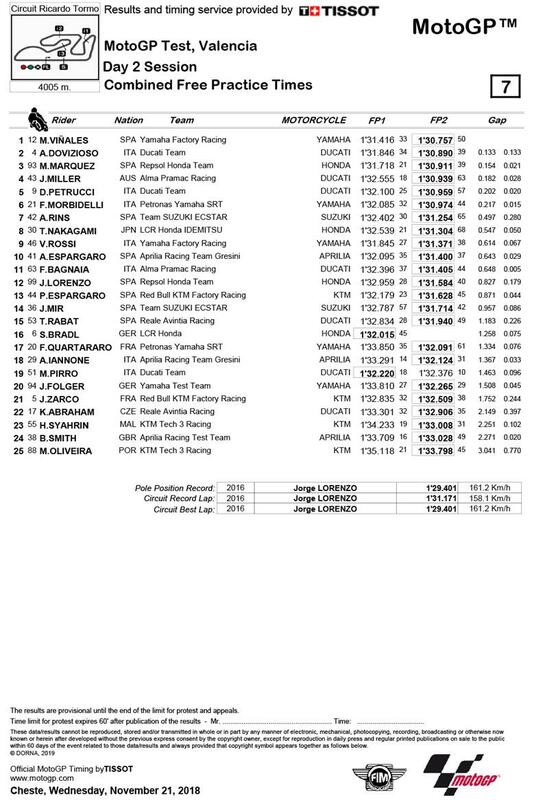 Maverick Viñales has left the first pre-season test of 2019 top of the time sheets, continuing his good work on the opening day at Valencia to end up on top of the second day as well. 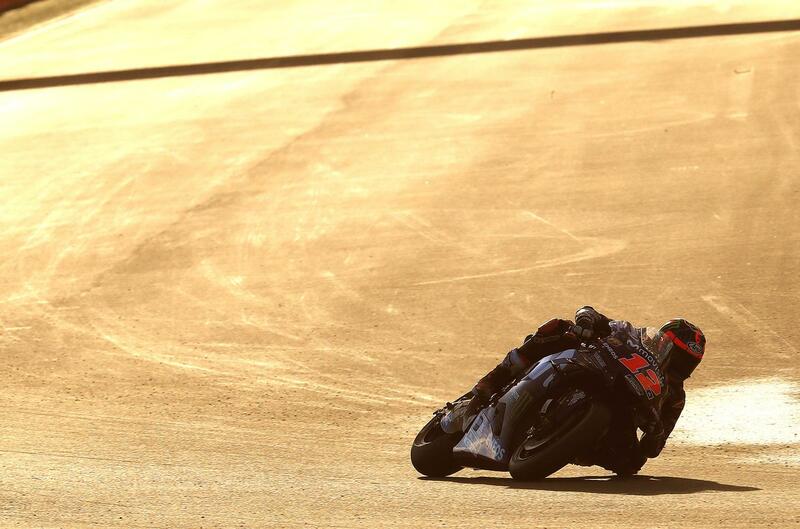 He tops the times from Andrea Dovizioso and Marc Marquez, with a strong showing from satellite Ducati rider Jack Miller in fourth. “It has been a positive test. We've been working a lot on improving for the first lap of the race. I'm actually really happy because from the first lap I felt good grip and I could push. There's still work to do to further improve the engine braking and the smoothness of the power, so that's what we will work on in Jerez. “It was unlucky that we couldn't ride all day, like we had planned. We couldn't test the engines very well, so we're going to decide after Jerez which of the two we choose. As I said, we need to try more, to be more convinced about the engine decision, but I think we're on the right track. We need to focus on the riding style and getting a smoother bike will be very important, especially when there's no grip during the race, but there is an upgrade coming that will help a lot.